Dropbox – Free – Essential app for the iPad. 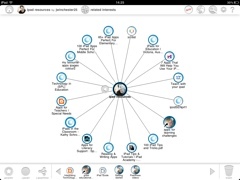 Have all your videos, photos and docs in one place and easily share between your iPad and your computer. 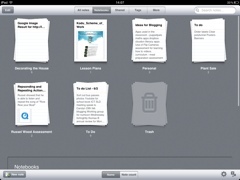 Use it almost everyday in the classroom and really useful to share folders with colleagues for collaborative planning. Evernote – Free – Excellent note taking app that allows to add webpages, pictures, videos to your notes and share across all your devices. 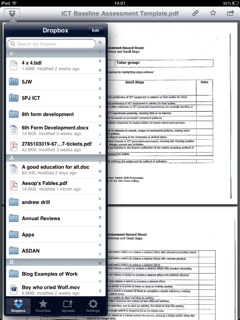 I use it to keep organised with to-do-lists, upload videos for assessment and save lesson plans for easy access. FileBrowser – £4.49 – Allows you to connect to local servers and other computers via IP address. You can then open files and view files on these servers. Really good when used with Dropbox and Cloudon. Dragon Dictation – Free – Voice to text app that is very accurate. I use for sentence construction with students who find it difficult to spell or are still copy-writing. Also use for sending emails and note-taking. 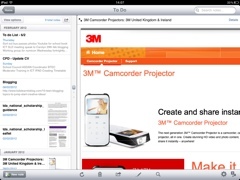 Winzip – Free – Allows you to open zip files on your iPad. Very quick and easy to use interface.